My name is James and I've just got into ant keeping after watching AntsCanada and others for about a year. 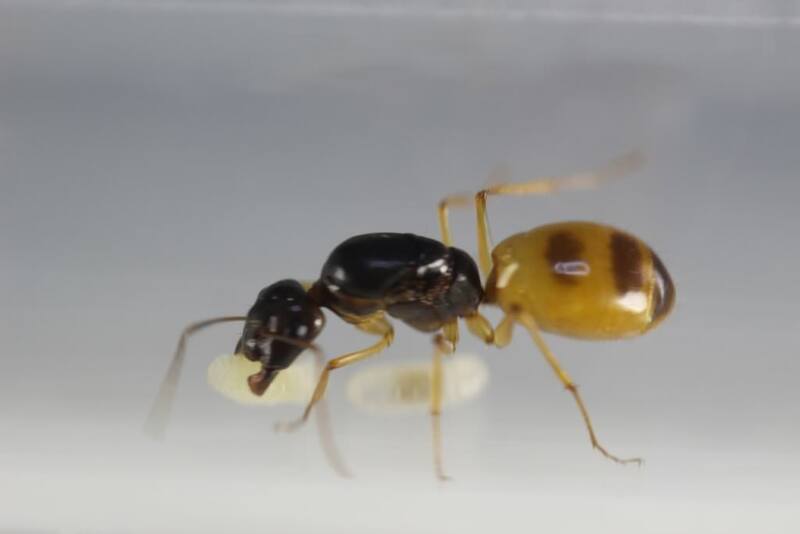 I currently have a Camponotus turkestanus in a test tube set up with a couple of eggs, I chose the species due to it's relatively small colony size and I just love the colour of the queen. I realise most people are against keeping foreign species but I chose them because they would not survive in the wild where I live, especially in winter months, so I hope you can forgive me of this. There is very little information out there on these ants so any info would be appreciated. Thank you to anyone reading this and I hope I get to raise my queen into a large colony. This is a picture of my queen.